From the engine room to the staterooms, our expert craftsmen consider every last detail. 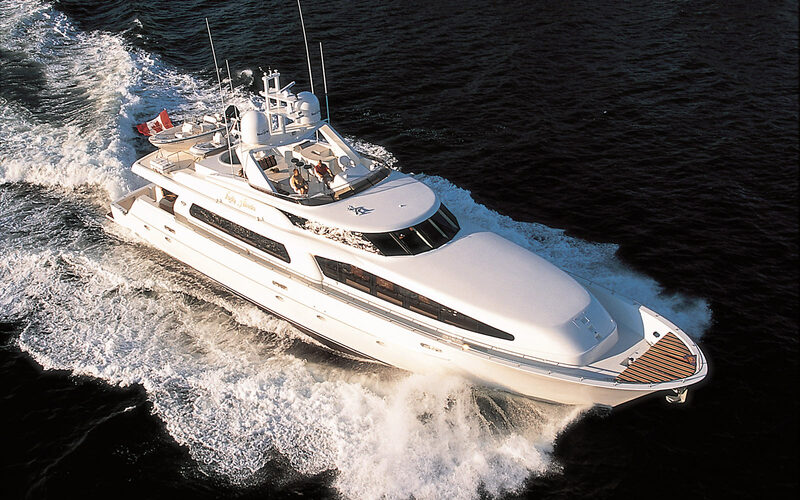 Set out for adventure in a beautifully finished, top-quality yacht built to exceed your expectations. With more beam and length than previous models, the all-new 66 Pilothouse is the latest addition to the distinguished SonShip family. 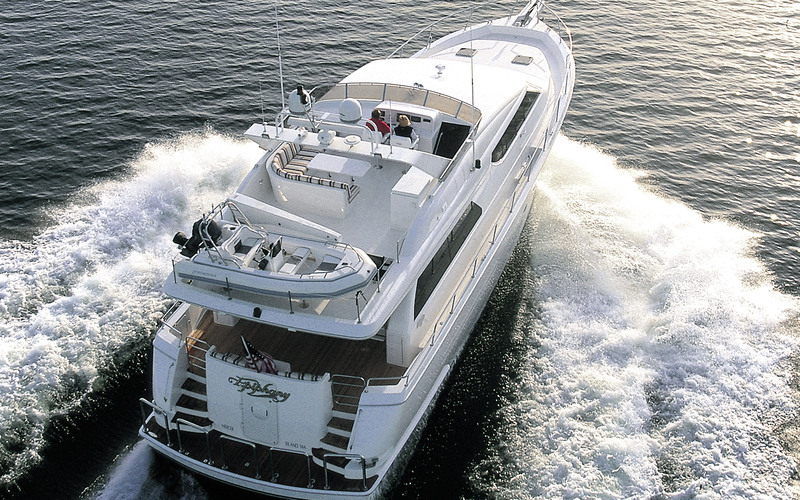 This luxury yacht is also available with a skylounge and/or cockpit. Carpet with underlay, and barium sound proofing in Salon and stairway, lower companion way and staterooms with underlay. Strip wood engineered flooring in Galley and Pilothouse. Lighting: flush-mounted LED in ceiling with Vimar switching. Headliner: fitted vinyl installed on Whisper track system. Aromatic cedar-lined closets and hanging lockers. Granite countertops: Galley, Pilothouse settee table and Heads. Windows: gray tinted, heat-treated laminated glass with SonShip frameless design. Headroom (most areas): 6' 6". Air conditioning system: reverse cycle with remote-mount compressors (5-zone), Cruisair. With more beam and length than previous models, the all-new 72 Pilothouse is the latest addition to the distinguished SonShip family. This luxury yacht is also available with a skylounge and/or cockpit. Granite on Galley countertop, Settee table and Head countertops. Windows SonShip frameless design: tinted, heat-treated laminated glass with UV inhibiting film. Sleek lines and modern styling define the all-new SonShip 81 Raised Pilothouse. We’ve redesigned the interior to create a luxury yacht with an elegant, refined personality. 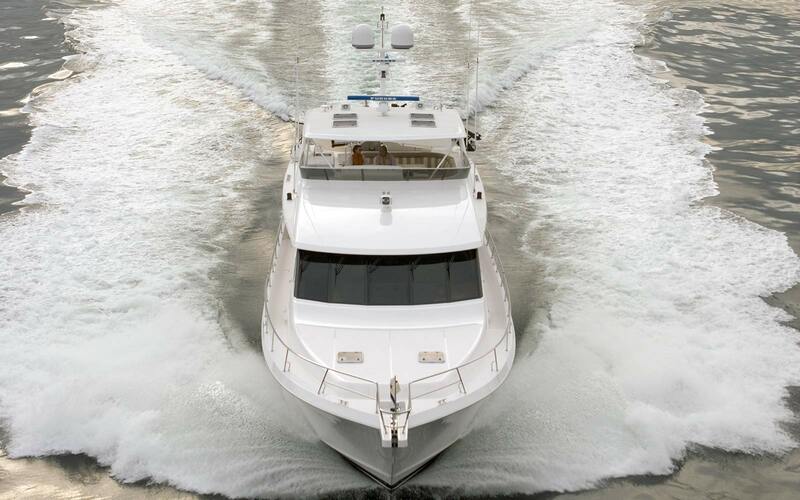 The 81 Pilothouse is available with a skylounge or cockpit. Air conditioning system: reverse cycle with remote-mount compressors (6-zone), Cruisair. 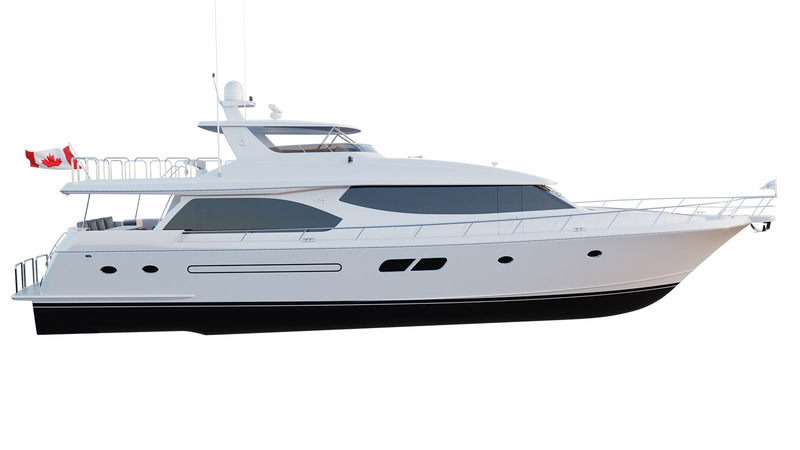 The all-new SonShip 87 Raised Pilothouse features sophisticated styling with a modern attitude. Inside this luxury yacht, you'll find a revamped interior that includes formal dining space for gracious, comfortable entertaining. 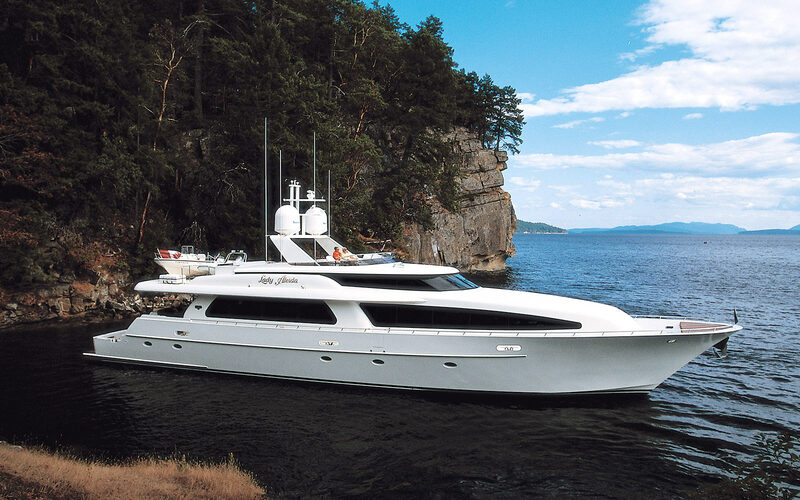 The 87 Pilothouse is available with a skylounge or cockpit. Air conditioning system: reverse cycle with remote-mount compressors (7-zone), Cruisair. 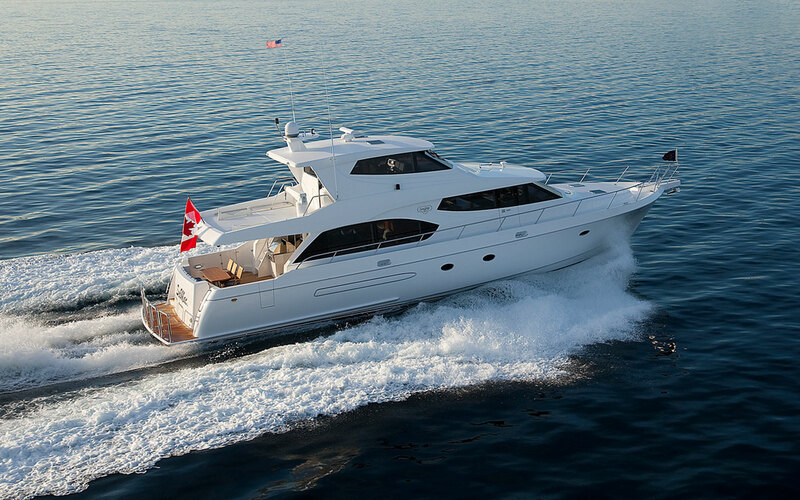 The distinctive SonShip 110 Raised Pilothouse is ideal for entertaining and long-range cruising. Give your guests the ultimate in comfort with five staterooms, all featuring ensuite heads, plus crew quarters that can accommodate four. Wood: ¼ sawn American cherry with semi-gloss finish. Joinery accent: Carpathian elm veneer. passage doors: solid wood stiles and rails with Carpathian elm veneered recessed panels. cabinet fronts: wood veneer panels, solid wood listings. Lockers, closets and drawer bottoms throughout staterooms: aromatic cedar lined. cabinet push button knobs: Hafele, Crew Area, Forward & Port Staterooms and Heads colour: Polished Chrome & Matt Nickel, all other areas colour: Polished Brass & Chrome. frameless adhesive bonded, 1/4" Solar Gray heat treated laminated glass. Forward pilothouse windows 3/8" heat treated laminated, clear. House: cored with various materials which provide insulation. Overhead surfaces: fibreglass insulation installed for both thermal and acoustic properties. Carpet throughout, unless otherwise specified. vinyl throughout, Luxor II, Vellum. clear glass with aluminum frames, unless otherwise specified, colour: Bone. Alarm system with (2) keypad controls, bell and horn and all exterior doors wired. 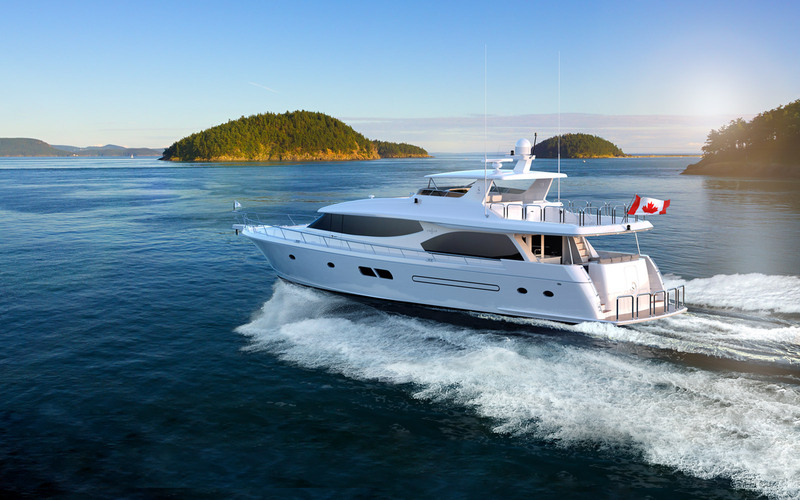 We collaborated with Victoria’s Gregory C. Marshall Naval Architects to develop the new SonShip 110 Tri-Deck. 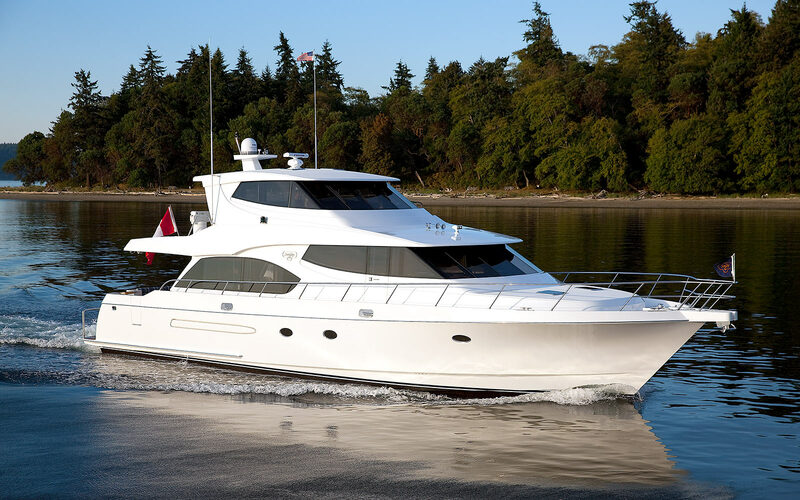 This luxurious yacht features a full, on-deck master stateroom forward, a skylounge, sunbridge, and all the comforts you’d expect in 110 feet of expert design and quality craftsmanship.